Why Personal Image is key to your success in business and in life. 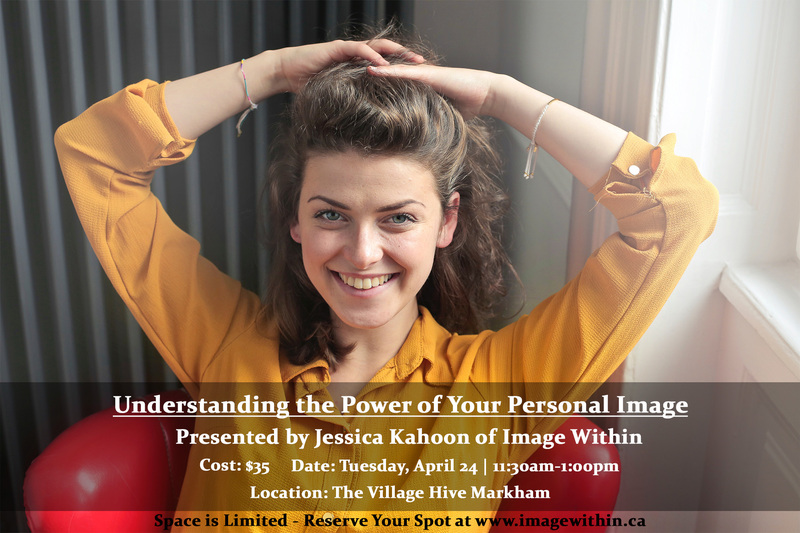 During this interactive session, you will gain an understanding of personal image. 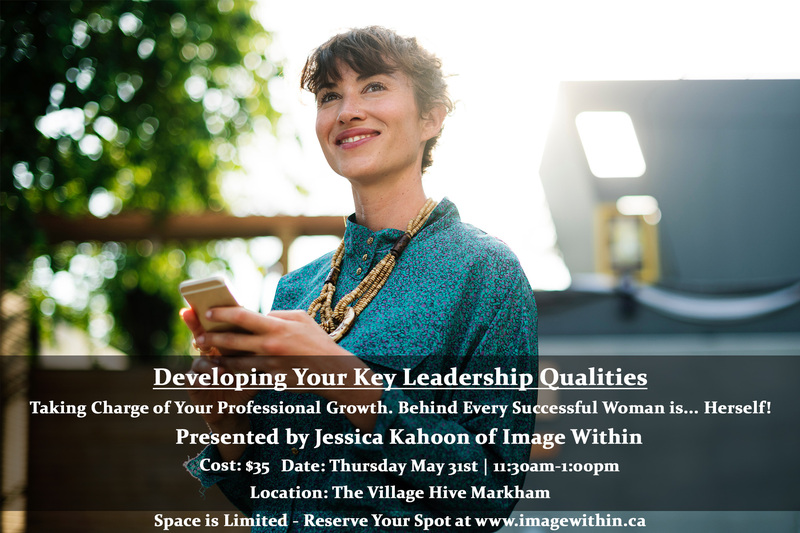 You will have the opportunity to conduct a self-assessment of your overall image, including wellness, self-esteem, and personal presentation. You will be able to acquire a few foundational tools needed to incorporate initial changes to your image so you can boost your professional presence. Is your inner voice sabotaging you? Foundational elements to reclaim your authenticity and boost your confidence. Is your current image holding you back? Key tools to incorporate initial changes to your image so you can boost your professional presence. Personal style is one key element to finding clothes that make you look and feel good. It’s my belief that by understanding what your inner personal style is, everyone can become more stylish and confident. Part 1: Personal Style and Positive Self-Image. The Look Good, Feel Good Connection. Everyone can use personal style as a tool for cultivating self-care and reflecting self-respect. No matter your body shape or which birthday is on the horizon, you can learn to flatter your figure. You can utilize your natural beauty to reflect your undeniably amazing self outward to the world. 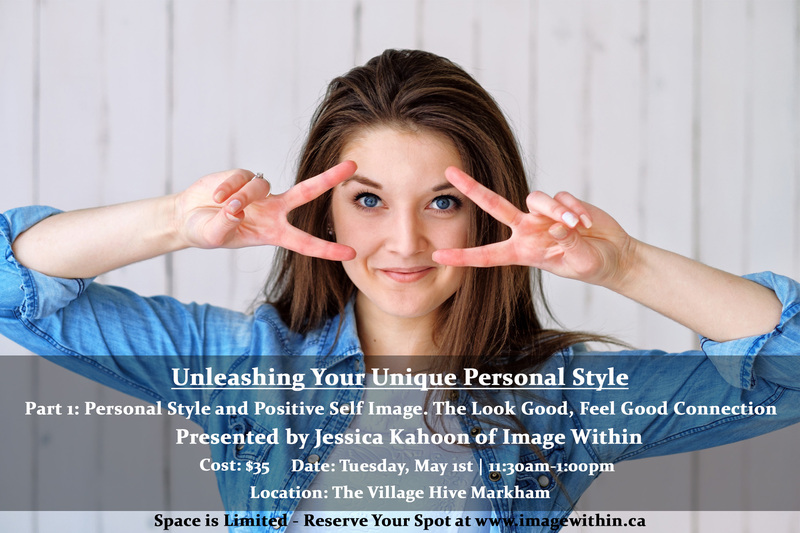 During this interactive session you will discover your personal style and how aligning your personal style will help your feminine power to unleash your professional success. Understanding your inner personal style is key to discovering what makes you feel comfortable and stylish in a professional environment. Personality influences what you wear, what you feel good in, and what gives you confidence. How to build your Unique Signature Style with your Professional Clothing. How to be a “Polished Professional” by using the elements of design to create your signature Personal Style. 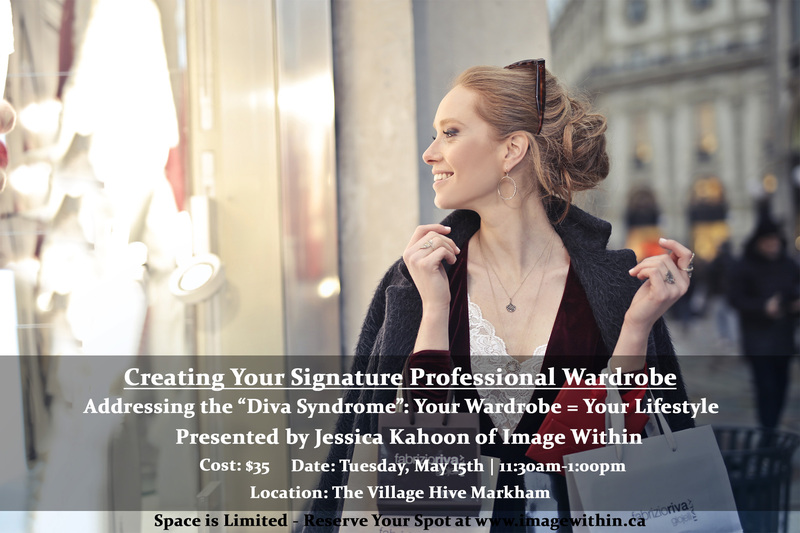 Part 1: Addressing the “Diva” Syndrome - learn how to create an efficient professional wardrobe. In today’s society, it is easy to pretend to be a Hollywood Diva that requires a huge wardrobe as a way to measure your professional success. In this session you will learn that it is not about being “fashionable and trendy”, it is about adjusting your closet to reflect your uniqueness. Avoid self-sabotage and project an attractive and compelling image through creating an efficient professional wardrobe. 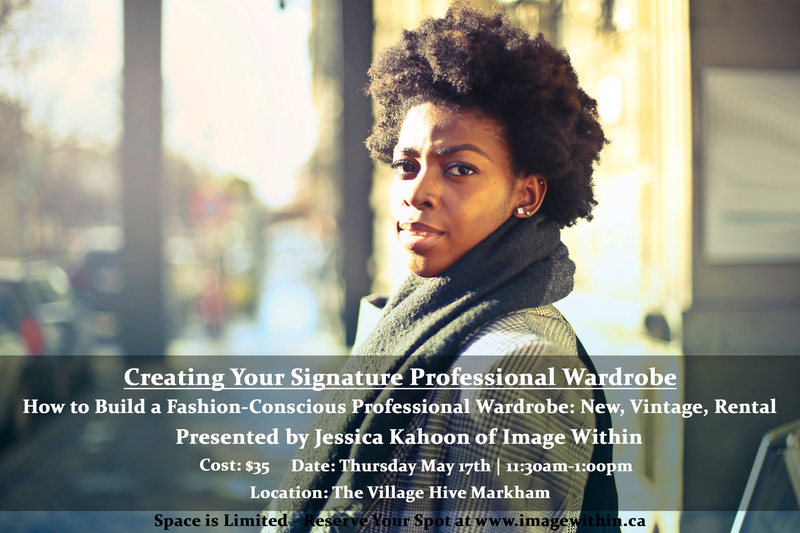 This is a perfect opportunity to simplify your wardrobe and your life. Identifying and understanding the different levels of dress codes. Creating a successful professional capsule wardrobe that suits your personal lifestyle. Creating the budget to buy the best quality clothing you can afford without breaking your bank account. A more sustainable future begins with proper recycling. Understanding the financial benefit to recycling your closet, the consignment model. Leveraging the power of giving back, donating your clothing to empower more women so they too can build their professional presence. A list and value proposition of the retail clothing stores in the GTA (new clothing, high-end consignment stores and rental) that are making a difference and creating a more sustainable planet and how you can benefit from their models to build your dream wardrobe. You will fall in love with their clothing and the amount of savings you will create to your budget. Professional Presence is more than just looking and dressing well. Professional Presence combines leadership qualities, communication skills, and engagement expertise in a powerful mix that leads to continuous upward mobility in a company, or for entrepreneurs, it helps support your company’s brand growth. Mastering your interpersonal relationships. How to build rapport and develop positive relationships with warmth, empathy, respect, and courtesy. Convey confidence and competence and establish trust and credibility through verbal and nonverbal communication. Women seem to have a harder time stepping out of the shadows and into the spotlight in the professional arena. To be more successful, you must ensure that you get credit for the outstanding work you do, learn how to effectively negotiate what you want and build a collaborative network that will help get you where you want and desire to be faster. Building Collaboration Networks: The power of the collective growth. How to identify the key supporting network that will nurture your growth.